Transcribed by Reba James, Leonard Irish & Ray Jackson, November 1, 2000. From the Intersection of Highway 7 and Highway 96 in Center, Texas, take Highway 7 West for 3.7 Miles to the Farm Road 711 and turn left. Go about 3.4 miles and turn right on County Road #1273 and go about .6 mile. 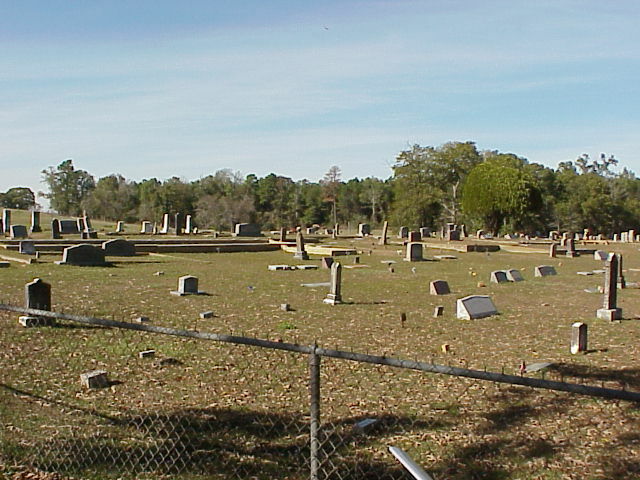 The cemetery is on the right behind the Mt. Pleasant Church. 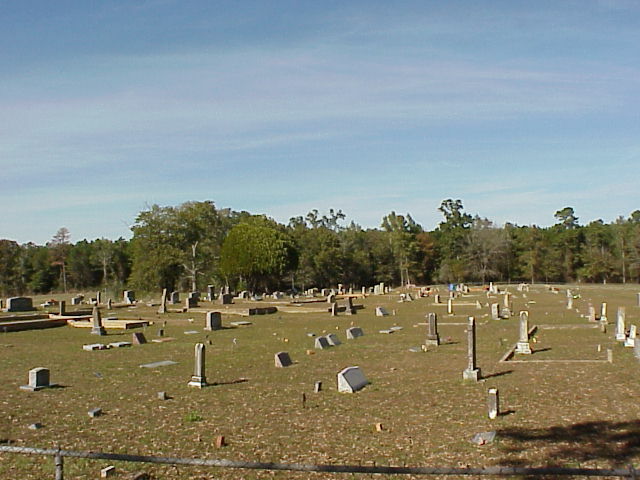 There are 175 unmarked graves in the cemetery. Click here to view markers of The Citizens of The Republic of Texas. William Larry "Shorty" Andrews 10-25-1945 02-16-1967 SP4, Co. C, 2 BN, 8 Inf., Vietnam, BSM-PH; Killed in action in Kontum Province, South Vietnam, 4 Medals. Maycel Imojean Oliver Bosman 09-09-1925 12-31-2004 Wife of Walter Bosman, Sr.
Lou Cindia Bradshaw 11-21-1879 01-03-1956 Wife of John J. Bradshaw, Jr.
John J. Parker 08-? ?-1845 - Co. A, 2 Fla. Cav. W. E. Rudd - - Hus. of Lanora Greenway Rudd, Co. F, 15th Ala. Inf., C.S.A. Claude Samford 02-02-1905 11-15-1982 Husb of Thelma Samford - Married 12/20/1930 Sheriff Shelby County May 1, 1946 - January 1, 1949; Chief Deputy Sheriff in succeeding Administrations. Gene Samford 10-15-1914 01-05-1998 Husb of Jewel Stephens Samford Well known singer in County "Sunday Singing Circuit"
Joseph Edwin Winn 01-15-1830 02-26-1863 Husband of Elvira Winn, Civil War, Married--02-21-1856 - Buried in Confederate Mass Grave in Pine Bluff, Arkansas. James Calaway Worsham 04-18-1837 01-20-1920 Hus. of M. Jane Worsham, Co. B, 12th Tex. Inf., C.S.A.